Nzingah Oniwosan, a Haitian American artist, began drawing once she was able to control a crayon with dexterity. “I was born an artist,” Nzingah explains. “It’s part of my DNA.” While in grade school she started drawing freelance, mainly portraits of her classmates. By twelve she won first place for an MLK drawing contest. In high school under the tutelage of her art teachers she began to perfect her craft. During this time Nzingah and several classmates had their first major exhibit at the Milagro Center in Delray Beach. After a brief hiatus Nzingah began her professional career as an artist. She has been featured at several museums and galleries, such as Cornel Museum, in Delray Beach, Old Dillard Museum in Fort Lauderdale, and Amadlozi Gallery in Miami. In addition she has her work noted in periodicals like the Sun Sentinel (2006/2007), and Art & Culture Magazine (Fall 2006). Her most recent accolades include: a grant in 2010 to exhibit the "Sankofa Experience" and in 2009 to exhibit “Un-murdered,”being named 2008 artist of the year by the Links Incorporated, and placing first in several juried exhibits. Nzingah has extended her work as an artist by working as a teaching artist. Her commitment to reaching children through the arts has allowed her to work with well over thirty thousand students, in south Florida and nationally. In addition to her work with children, she has given several professional development workshops designed to educate teachers how to integrate the arts into their curriculum. Over the years Nzingah has become an advocate for children and adults with disabilities; as a result she has given several workshops designed to demonstrate how the arts can be used to reach children with special needs. Along with being a resident artist at several schools with the special needs population. She was a field reporter for Teaching Artist Journal and is currently an artist in resident withVSA FL, and Old Dillard Museum. In addition to being a visual artist Nzingah is a classically trained pianist and bass clarinetist, published poet and writer, jewelry designer, and an up and coming African and Haitian Folklore dancer. 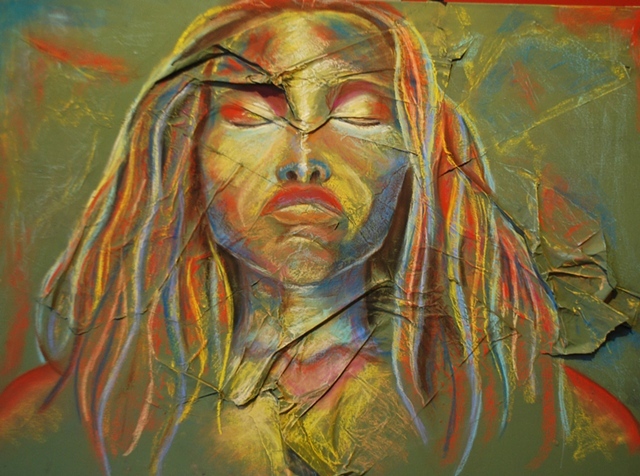 She is currently completing her degree in Neuroscience at Florida Atlantic University and intends to do research that examines connections between the brain and the arts.